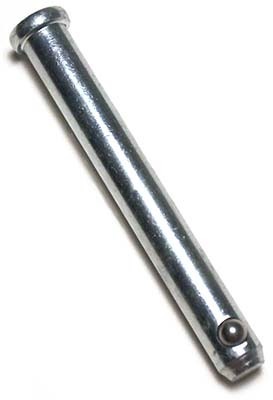 Request a quote for Cotterless Clevis Pins today. JBF National cotterless clevis pins are manufactured from the highest quality clear zinc plated carbon steel, and are designed and tested for ultimate reliability and durability. These fasteners (also known as detent clevis pins) allow for quick engagement and disengagement in lieu of more permanent fasteners like bolts and rivets. Due to their flathead/handless design, cotterless clevis pins allow for flush mounting in limited space situations.